Filipino Casinos with Off Cockpit Betting soon? Off track betting place (casino) is fun as I can remember. I actually enjoy dining there myself. But as I know nothing about horses, I do not bet. Just watch the races on monitors on the bar, on your own table, and any where inside this establishment. I prefer to watch in the privacy of my own table while dining. Online betting for cockfighting is now common in many countries around the world including the Philippines. Off cockpit betting place (casino) will be great, at least, for me. But I might bet this time, unlike in off track betting place for horse races. MANILA, Philippines—Bringing “sabong” or cockfights inside the state-run Philippine Amusement and Gaming Corporations (Pagcor) casinos has been brought up during a Senate hearing on Tuesday. No less than Pacgor president and chief executive officer Cristino Naguiat mentioned about the cockfight during the hearing of the Senate committee on games and amusement on the state of the games and amusement promotion in the country. “There were talks about the sabong (cockfight) that will be telecast in our casinos para doon ang betting sa loob ng casino (so that the betting will be done inside the casino),” Naguiat said responding to committee chairman, Senator Aquilino Pimentel Jr., when asked about other games being run by the state gaming firm. He did not elaborate. When sought for more details however after the hearing, Naguiat clarified that no proposal has been submitted to Pagcor for the telecast showing of cockfights inside their casinos. “Sa dami kong problema, hindi ko na tinitingnan iyon. Masyado ng maraming sugalan, kailangang i-kontrol natin (With the many problems that I have, I don’t consider that. There are too many gaming joints, we need to control them),” he said. 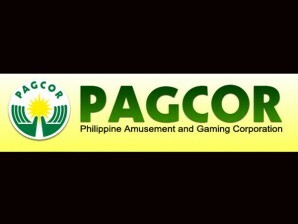 Pagcor’s legal chief, Jay Santiago, said it was the first time that he heard about the idea but he expressed openness to it so long as there is no legal prohibition to conduct the gaming. “As long as there’s legal basis to do that and there’s no protest, no legal prohibition and there’s social acceptability. So long as all the requirements – legal basis, allowed under the Charter, social acceptability, there will be no protest,” he said.